It is very important that you read and understand these policies before registering your child for one of our Creative Camps. If you have any questions, please let us know by contacting us through any of the methods at the bottom of the page or on our Contact page. Thank you! To register, you will need to submit payment in full in order to hold your camper’s spot. The earlier you can do this, the better, to ensure that your camper will have a spot and to help us plan appropriately, but the last date to do this is by 11:59 p.m. the Friday before camp. Because we need to plan ahead to purchase supplies and generally to be ready for your camper, we are unable to refund your registration fee after this date, unless the camp is cancelled. Before this date, all cancellations (except those initiated by The Makery) are subject to a $50 cancellation fee (this is in lieu of requiring a deposit, but basically functions the same way, which is to cover our costs in time and materials once you have submitted your registration; you can choose instead to apply this fee to a future camp or class). If you have not registered by the deadline, but still wish for your child to attend camp, please contact us to see if there has been a cancellation; however, we cannot guarantee that there will be space after the registration deadline has passed. Each camp week has a minimum requirement of 4 campers, and a maximum of 8. Each camp week stands alone. You can register your camper for one or both weeks that your camper wants to attend (for their age group). Each camp is subject to cancellation if minimum enrollment (four campers) is not met by at least 24 hours prior to the first day of camp. You will receive a reminder email one week before camp indicating that it will run, or if it is in danger of cancellation. If you receive this warning email, you will receive a second email the day before camp indicating if it will run. If camp is cancelled, you will be given the option of a full refund or credit to apply toward a future camp. We are unable to pro-rate camp days or refund campers who cannot to make it to camp for any partial day or one or more full days. There will be no make-ups available. The Makery reserves the right to refuse service, to charge campers for damaged studio property, and is not responsible for campers’ lost or damaged property. 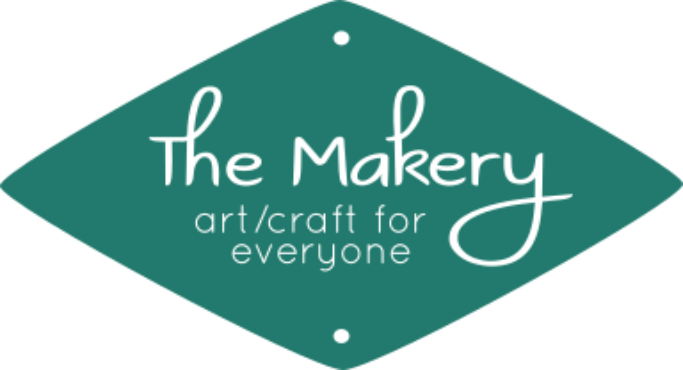 Occasionally, we at The Makery would like to take pictures of the activities and participants in our classes and camps, and use these in various media, including, but not limited to online social media (such as Instagram and Facebook) for the purpose of advertising. We understand that some individuals may not wish this. On every registration form, we will ask your permission to be photographed and have the photographs used in the promotion of programs and activities by The Makery.